usual is no longer enough. We are a diverse team of researchers, engineers, and educators united by a common goal: to equip every young person on the planet with the skills needed to achieve their dreams. We’re leaving behind traditional assumptions about classrooms, homework, and grades and have developed a learning method and platform that has launched the next generation in education. In today’s schools, students are trained to memorize old answers to familiar questions. Today’s world is dynamic, connected and changing, raising new questions all the time. For students to succeed, they need more than fixed answers — they need the ability to keep growing and adapting to the world they find. Quest Forward Learning activates lifelong curiosity in each student, cultivating the mindset, essential habits, and skills to succeed in life and work. Success isn’t about answering old questions. It’s about seeing opportunities to create value, and having the skills to do so — for yourself, for your community and for the world. We teach students how to continue to learn for the rest of their lives. 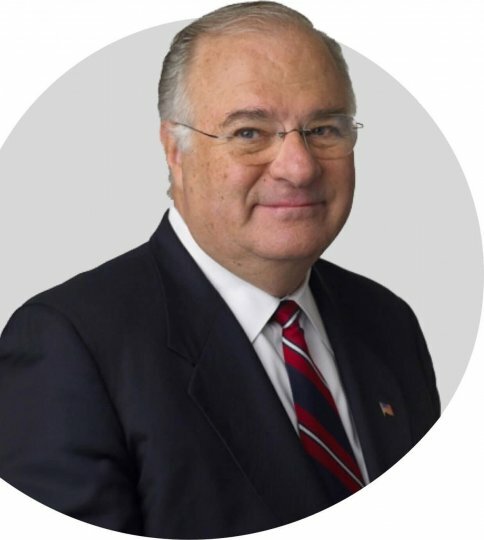 After more than 35 years as the founder and CEO of Ameritrade, one of the largest online brokerage firms globally, Joe Ricketts is dedicated to improving education globally through the programs offered by Opportunity Education Foundation, a private foundation established and funded by him. Driven by his passion for education and his belief that technology can empower individuals and communities to determine their own futures, Joe Ricketts applies his entrepreneurial expertise and personal resources to bring engaging, effective, and relevant learning to young persons around the world. Manuel drives the implementation of Mr. Ricketts’ vision for Quest Forward Learning, leads the development of the Quest Forward Learning Platform, and manages program implementations and support operations. 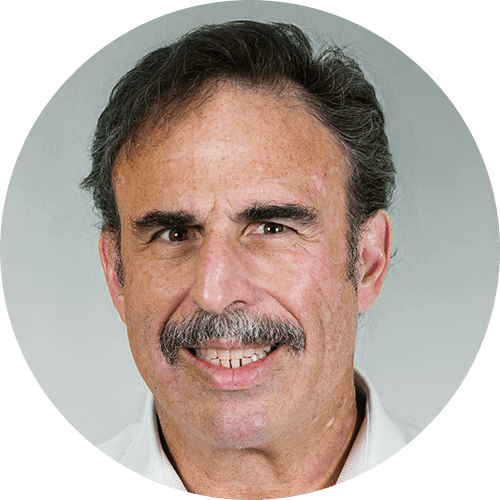 Previously, Manuel founded and led a custom enterprise software company, and later an innovation consulting firm, working for large clients in pharmaceutical, biotech, finance, research and government sectors. 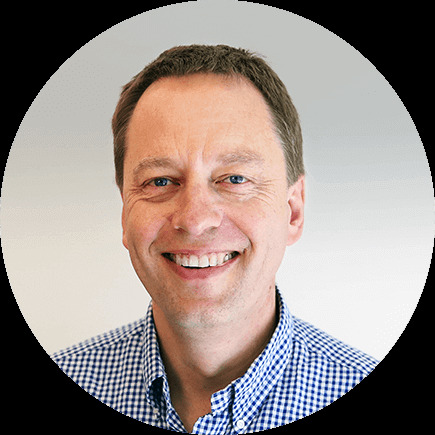 Manuel brings to his work at OE over 25 years of experience in technology-driven innovation, software development and change management in complex environments, and a passion for building and leading high-performing teams. Ray’s responsibilities include articulating Mr Ricketts’ vision for Quest Forward Learning, leading the Learning Design team and the development of the Quest Forward Academies, which are independent schools built entirely on the principles of Quest Forward Learning. Joe Ricketts has assembled an expert team of researchers, educators, and engineers to develop the tools and curriculum needed to engage and inspire a new generation of learners. Our team combines the expertise in learning and application development needed to change education globally. Ameritrade Founder and CEO Joe Ricketts travels to Tanzania​ for holiday. While there, he meets safari guide Shange Wilson and learns that Wilson is building a nursery and primary school. Ricketts visits the school and donates $1,400 to Wilson for its construction. Later, Ricketts sends off-the-shelf video and other educational materials to Wilson’s school in Tanzania and begins to consider how he might help other schools in Tanzania and the developing world. 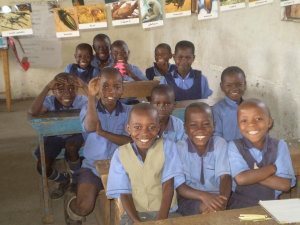 OE establishes the Primary School Student Program in Tanzania and Uganda​, hiring Alan Barkley as executive director. Barkley begins to develop partnerships with government and private schools throughout Africa. 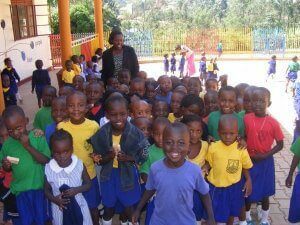 In Uganda, OE partners with World Vision. OE expands the Primary School Program. OE expands the Primary School Student Program. OE expands the Primary School Student Program.​ We begin to​​produce “Let’s Learn” video programming and supplemental educational materials filmed and developed in the US for primary schools overseas. Our programming is designed to address milestones in primary educational curricula, Forms 1-6, and covers five principal areas of study: reading, mathematics, science, creative arts, and social studies. OE ships video lessons and supplemental materials to partnering schools throughout the developing world. Working with Thembalethu Development, OE expands our work to South Africa. 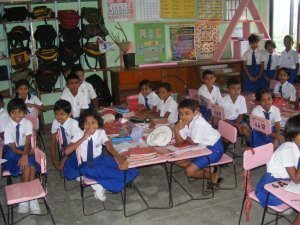 We also begin work in Sri Lanka, ​increasing our reach to 4 countries, 30 schools, and 18,600 students. Jim Ricketts begins leading OE operations. Jim Ricketts ​begins work with OE in various capacities, overseeing the establishment and management of the supplies warehouse; procurement, shipping, and in-country distribution of educational materials; video production, and OE marketing. OE begins to work in Nepal, partnering with United Missions to Nepal, and in India, partnering with World Vision. 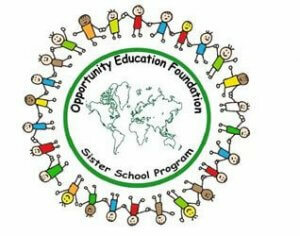 OE establishes its Sister School Program. OE establishes its Sister School Program ​to facilitate cross-culturalunderstanding between developed and developing countries by conducting penpal correspondences between students at paired schools. In addition to letter writing, US-based schools provide much-needed educational resources and materials to their partner schools. We also begin running ​Sister School Trips​, a cultural exchange program, which once a year takes teachers from OE sister schools to different parts of the developing world where OE operates. Participants travel, visit, and teach in OE partner schools, and learn about the culture and people of host countries. US teachers visit Tanzania, India, Ghana, and Uganda. 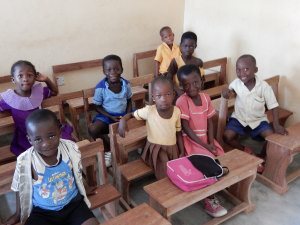 OE expands our work in Africa, partnering with the Students and Youth Travel Organization in Ghana​, increasing our reach to 7 countries, 281 schools, and 174,220 students. OE begins to work in Lesotho and Sierra Leone. OE begins to work in Lesotho and Sierra Leone, introducing our curricula to 15 and 10 schools respectively, increasing our reach to 9 countries and 413 schools, supporting 256,060 students. OE increases our reach to 646 schools and 400,520 students. In partnership with Louisiana College, OE inaugurates the OE Teacher Training Program. In partnership with Louisiana College, OE inaugurates the OE Teacher Training Program, and launches training in Tanzania. Serving approximately 200 teachers over 3 days, the program includes on-site workshops and training by international experts in education, and provides supplemental materials to support teachers in partnering countries. Jim Ricketts becomes president of OE. OE increases our reach to 835 schools and 517,700 students. 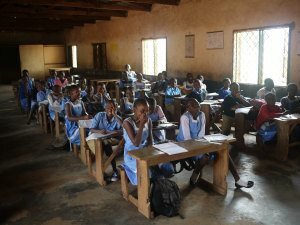 OE begins work in Cameroon with 10 primary programs in 4 Catholic dioceses. Partnering with the Catholic Church, OE begins work in Cameroon with 10 primary programs in 4 Catholic dioceses – Kumbo, Bamenda, Mamfe and Buea. Our Teacher Training Program expands to Uganda, serving approximately 200 teachers there. Joe Ricketts considers the use of tablets in providing educational resources to schools in developing countries; OE begins to explore this as a possible avenue for our educational programming. By the end of 2012, OE increases our reach to 10 countries and 1,074 schools, enabling 665,880 students with better learning opportunities. OE initiates the Tablet Program. OE expands our educational programming to include secondary education and to explore the use of technology in achieving educational goals. OE initiates the Tablet Program. Using pre-existing curricula and materials, its purpose is to assess the feasibility of working with digital curricular materials in the developing world. OE provides 10 schools in Tanzania with 2,000 tablets and educational materials in English, mathematics, science, and history for grades 9 and 10. We also designed and provided charging stations and network connectivity, enabling us to collect data on when and how the tablets are used, to assess the program’s effectiveness. 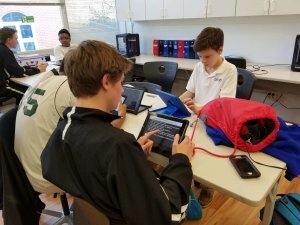 OE’s Tablet Program illustrates the power and potential of tablet-based, personalized learning, with 2,000 students participating in it over the next two years. 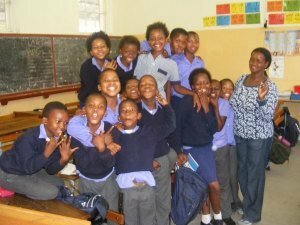 OE begins work in Zambia, expanding our reach to 11 countries, 1,203 schools, and 745,860 students. Our Teacher Training Program expands to Ghana, serving approximately 200 teachers. OE partners with First Sight , including them on Sister School trips to administer eye examinations and distribute glasses to students and teachers in need. OE redesigns our Teacher Training Program. OE redesigns our Teacher Training Program by “clustering” schools in countries, inviting 1-2 teachers from upwards of 40 schools in each country for teacher training workshops. OE expands our reach to 1,434 schools supporting 889,080 students. The Tablet Program concludes. OE gains important insights from the experience and identifies challenges related to shifting the attitudes of a traditional culture of teaching and learning. We determine that 1) despite challenges, technology can be successfully integrated into a developing countries’ academics, and 2) the best approach is to design new, innovative curricula and materials to meet the distinct needs of schools overseas, with a specific focus on personalization, student agency, and the development of relevant skills. OE begins to shift program philosophies from international relief to international education and development on a global scale. OE establishes Next Generation Learning (NGL) to develop curricula and materials for technology-based educational programming. We begin to develop the design principles that lead to Quests!—online learning projects to foster student-centered learning— the essential element of our educational philosophy and approach. OE creates a platform to support quest design. Next Generation Learning takes off in June. 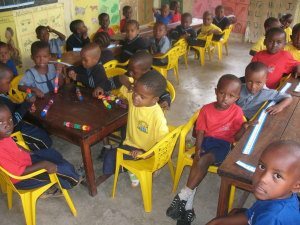 OE identifies locals to work as designers for Tanzanian curriculum. We begin training designers in creating quests that meet the distinct student needs and national standards of Tanzania. In the United States OE runs a program in Pittsburgh, PA to test the efficacy of our Quest! designs in providing students with course content that is engaging, skills-based, and relevant. 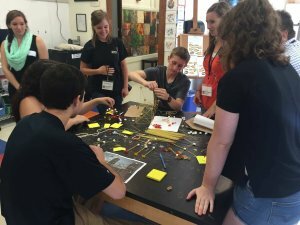 Twenty-three eleventh graders and 3 mentors participate in exploring 33 quests. The feedback is overwhelmingly positive. OE begins to explore the possibility of opening NGL academies in the United State to showcase the Quest! model of education. OE expands our reach to 1,625 schools and 1,007,500 students. OE begins to develop the Quest! app. OE begins to develop the Quest! app, so that our educational content can be made available to a broader national and global audience. OE implements short-term pilot programs in public schools across the country, continuing to test our quest designs and curriculum. OE implements short-term pilot programs in public schools across the country, continuing to test our quest designs and curriculum. These schools include Boystown in Omaha, NE, and Bellevue University and Burrell High School in Burrell, PA.
OE begins planning for the opening of two NGL academies in the United States , one in Santa Rosa, CA and another in Omaha, NE. We begin to design curricula for the academies that emphasizes the Quest! design principles and incorporates current trends and discoveries in educational research. OE expands our programming to work with Winchester Thurston in Pittsburgh, PA; Robert E. Lee High School in Springfield, VA; University of Southern California, Los Angeles, California; and Launch Academy in Rockville, MD. OE expands our reach to 1,688 schools and 1,046,560 students. Approximately 1,005 sister schools in the US and around the world partner with OE schools in Africa and Asia. Pilot program of quests using tablets and newly developed NGL curriculum is conducted. 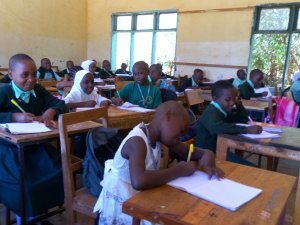 is conducted at ten schools in Tanzania; plans to expand to six additional schools in January 2018 are in the works. 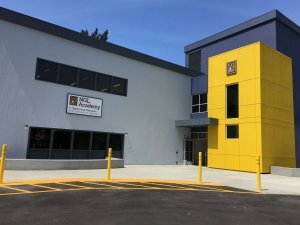 NGL Academies are opened in Omaha, NE and Santa Rosa, CA. The academies showcase singular curricula and Quests!, promoting an innovative, student-led educational model that promotes maximum opportunities for individual exploration and inquiry. OE expands our work, partnering with Glasgow, Fairfax, VA; Upward Bound, Bethesda, MD; and Maya Angelou Public Charter School in Washington, DC. OE begins to explore opportunities to partner with vulnerable schools in the US and with refugee camps abroad. Next Generation Learning becomes Quest Forward Learning. Next Generation Learning becomes Quest Forward Learning. As the new year began, so did a new chapter in Opportunity Education’s history. After much discussion, Mr. Ricketts encouraged the leaders of NGL to find a new signature name to reflect the long term goals of the organization and differentiate the program as a leader in improving education worldwide. Thus, Quest Forward Learning was proposed. A name that both highlights a key phrase, “quests”, in OE’s work, which is used to encourage discovery-driven education, and emphasizes “forward” movement in the pursuit of one’s dreams. The same methodology, courses, and apps will be used, but now with a new name that tells our story better. Joe Ricketts’ inspiration for Opportunity Education came from a conversation with Shange Wilson, a Serengeti safari tour guide. Wilson told Joe about how he was funding a school, Sotwa Wilson, in an attempt to foster a higher quality of education in the area. After visiting the school, Joe began to provide funds and educational materials to support the cause, which was the rudimentary start of OE. The success observed at Sotwa Wilson led Joe to produce DVDs based on the OE curriculum and expand the program to many other primary schools and countries. 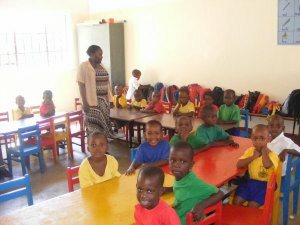 Overall, 465 primary schools were reached in Tanzania by OE materials. In 2013, Opportunity Education considers the use of technology in the classroom to achieve academic goals. To test the feasibility of technology in Tanzania, OE initiates the Tablet Program, which provides 10 schools with tablets containing educational materials in English, mathematics, science, and history. The program continues for two years and in 2015, it was determined that technology can successfully be incorporated into developing country academics and the curricula needs address the distinct needs of the school. As of today, the curriculum for Quest Forward Learning schools is developed by Tanzanians to align with the national syllabus. There are seven Quest Forward Learning schools in Tanzania as of 2018, and there will be as many as 20 more added in the coming year. In 2005, Joe Ricketts shared his vision for Opportunity Education with Father Michael Mukasa, who was a lecturer at Ggaba seminary in Kampala, but spent his summers at Ricketts’ Omaha parish. Inspired by Joe’s dream of providing education to developing countries, Father Mukasa was a forefront leader in establishing the program in Uganda. After Fr. Mukasa identified suitable schools in his diocese, Kiyinda-Mityana, Joe provided a shipment of materials and Opportunity Education was launched. Due to the success of the program, it spread quickly to other Catholic Churches. Unfortunately, the government imposed very high import duties on the OE shipments causing the program to be on hold for several years, but as of 2016, it has been restarted after establishing a partnership with World Vision Uganda. 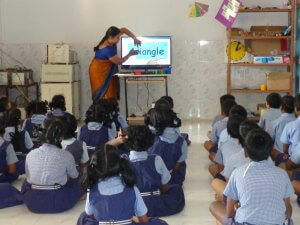 Through the years, 443 primary schools were reached by OE materials. After a Cameroonian nun, Sister Rosemary Arrah, studied in Omaha, she brought Opportunity Education back with her to Cameroon. Within the country, there are two regions that predominantly speak English and these regions are broken up into four Catholic dioceses. In 2012, it was decided to offer OE materials to 10 schools in each of these dioceses. 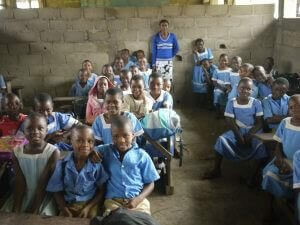 Collectively, 40 primary schools were reached in Cameroon by Opportunity Education. 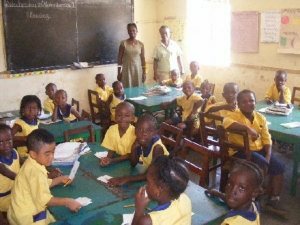 By partnering with the Student and Youth Travel Organization (SYTO) in 2008, OE established one of the strongest and most successful operations in Ghana. The non-profit organization is led by Dr. Edmund Prempeh, who is also a Cambridge educated lawyer and chief of the Ashanti tribe. 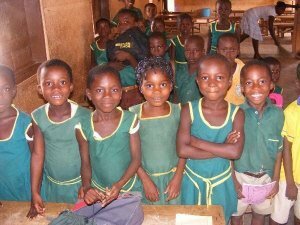 With Dr. Prempeh’s support, OE in Ghana has incorporated primary schools in five different cities. 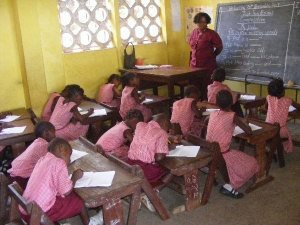 Additionally, in 2013, OE Ghana and SYTO have hosted Sister School trips and Professional Development seminars presented by Louisiana College of Education. 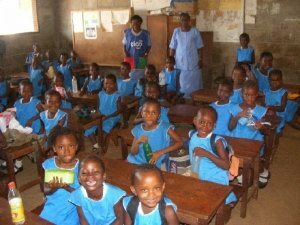 Opportunity Education reached 133 primary schools in Ghana. Alan Barkley, OE’s original Director of International Operations, was introduced to Steve Rudolph of Jiva Education, who is an American educationalist who had worked in India for many years. The company Jiva Education is an educational book publisher, which also runs a school in Faridabad. After meeting Barkley, Rudolph assigned a member of Jiva to help start an OE program in India. 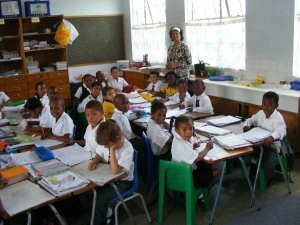 In 2007 and 2008, a combined number of 200 primary schools were started with the Opportunity Education program. 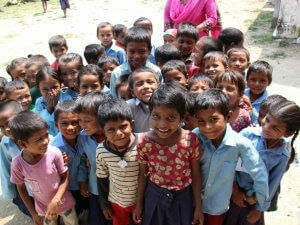 Since then, 329 schools in India were reached by OE. The country of Lesotho has experienced one of the more difficult start ups with Opportunity Education in 2009. The Ministry of Education and Training is the principal contact of OE and although there has been challenges with communicating and funding, the program has still been very successful. Initially, 8 primary schools in Maseru and 7 primary schools in Berea were supported with OE materials, which were the only 15 primary schools that Opportunity Education reached in Lesotho. Alan Barkley visited Nepal in November 2007 with David Sowerwine of Eco Systems to evaluate a pedal generator which he was developing. It was hoped this invention would enable OE to provide its program to schools lacking electricity. Unfortunately, this was unsuccessful, but Barkley did meet United Missions to Nepal (UMN) in the process. Opportunity Education formed a partnership with UMN and together, 37 schools were reached in various rural regions of Nepal. A Los Angeles teacher, named Yeniva Sisay, brought Opportunity Education to Sierra Leone. Sisay was a native born of Sierra Leone, but left due to conflicts during the civil war. Once stability was restored to the country, she elected to return and hoped to establish a secondary school. While helping rebuild the country, she enabled 10 schools to be reached by OE in 2009, all in the Sierra Leone capital, Freetown. 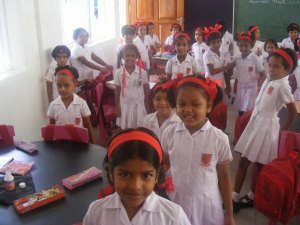 Through a London-based organization working with Sri Lanka after the 2004 tsunami, Alan Barkley was introduced to Dr. Ganananda Nanayakkara in 2008. As a professor of anatomy at Ruhuna University and a practicing dentist, Dr. Nanayakkara became the introductory source of OE in Sri Lanka. 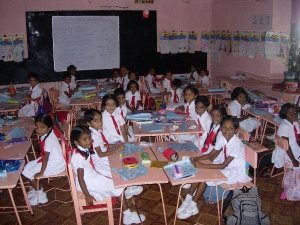 There were 29 schools in the Opportunity Education program in southwest Sri Lanka. This partnership continued for several years, until unfortunately, it was ceased in 2015 due to improper use of the OE resources in the schools. 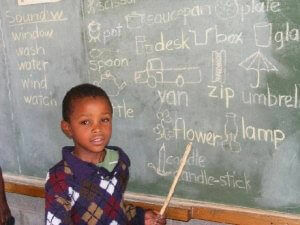 Opportunity Education worked with two provinces in South Africa— Western Cape and Eastern Cape. In 2006, the Western Cape program began with a relationship with the South Africa Student Travel Services (SASTS), as a former employee was hired by OE. Once a relationship was formed, a retired principal of Levana Primary, Ivor Nobel, led the introduction program of OE into schools. From 2006-2014, 36 primary schools in Western Cape have used OE resources. 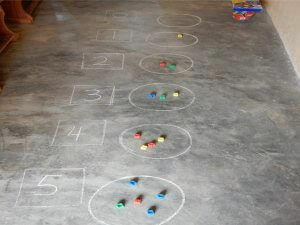 Similarly, after Alan Barkley met TEBA development, Eastern Cape added OE materials in 30 schools. 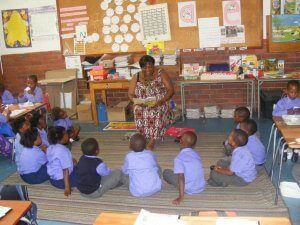 Collectively, 79 schools were reached by OE in South Africa. Through Todd Ricketts, Joe Ricketts’ son, Opportunity Education formed a partnership with World Bicycle Relief (WBR), which introduced OE to World Vision Zambia (WVZ). WVZ already had a Memorandum of Understand for education programs with the Government of Republic Zambia, so the OE program could easily begin. 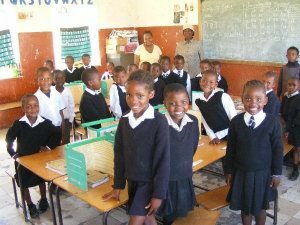 Branded as the “V Learning Project”, World Vision Zambia began to provide OE resources in schools in 2012. Over the next three years, 123 schools were reached, which included over 26,200 student participants.